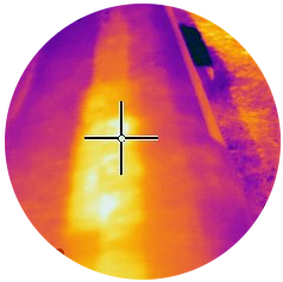 Within the framework of our inspection services, we offer a thermographic screening of primary structures. This methodology allows for a detection of productions errors and damages within the webs and flanges of the main loaded beam structure. Our FLIR E60 System has proven to be useful for the investigation of bounding errors of the beam flange with the outer shell. ​The structural stability of a wind turbine strongly depends on the load capacity of the turbine tower. 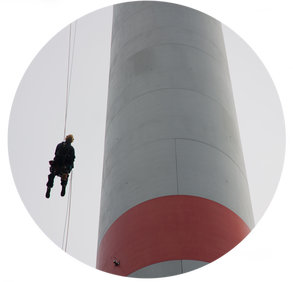 As such, it is important to subject the tower to a periodic visual inspection in order to prevent corrosion, cracks and other damages from growing.